The US-China trade war, if continued, will hurt Tesla immensely in the short term. But if Tesla manages to survive in China for some more time, the on-going trade war will force the company to make decisions that will end up helping the company in the long run. 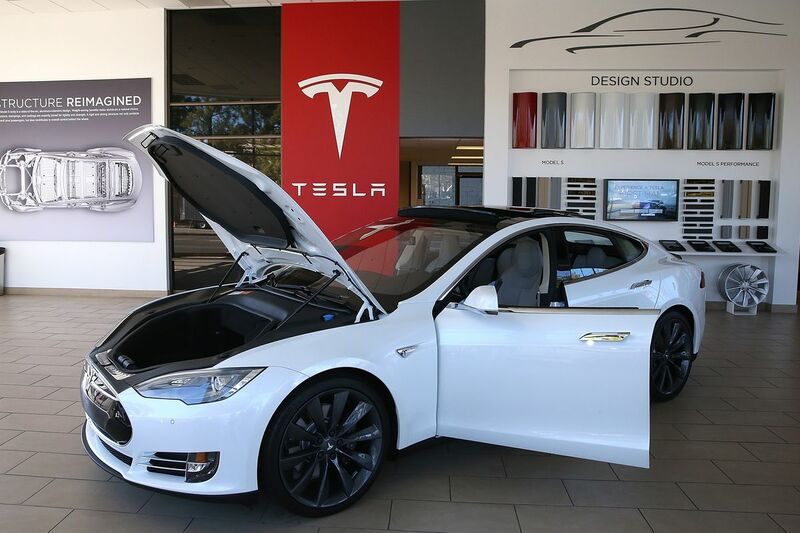 Tesla may have to accept short-term pains for long-term gain. The US imposed tariffs on $250 billion worth of Chinese goods after accusing China of unfair trade practices that widened trade deficit and intellectual property theft. China retaliated by increasing duties on $110 billion worth of US goods coming into China. The US auto industry was caught in the crossfire as China increased tariff on US Car imports to 40% from 15%. According to the U.S. Department of Commerce, U.S. automobile exports to China were worth $9.5 billion in 2017. For China, hitting the US auto industry with tariffs was an easy decision because China exports a small number of vehicles to the United States. Though US President Trump said that China has agreed to cut tariffs on American cars via twitter, it’s way too early to conclude that the worst is over for auto companies exporting American-made cars to China. China is Tesla’s second largest auto market. According to our estimates, Tesla sold 16,500 to 17,000 Model S and Model X in China last year, bringing home $2.027 billion in revenues. In the first three-quarters of the current fiscal, China accounted for nearly 10% of Tesla’s revenue, despite Tesla selling 78,667 Model 3s in North America. Thanks to the trade war, Tesla was forced to increase its price by 20% in July causing Tesla’s third-quarter revenue in China to decline by 27.37%. Tesla slashed its price by 12% to 16% in November, but the current listed price of Model S and Model X is still higher than what it was sold for in May. Tesla needs China because it’s the world’s number one auto market and it’s aggressively transitioning to EVs from internal combustion engine vehicles. China is the world’s fastest growing EV market and Tesla builds more EVs than any other car company in the world. CFO Deepak Ahuja says that Tesla accounted for a little more than 50% of all batteries built by car manufacturers in the third quarter of 2018. Nope. At least not until the tariffs are pulled back. Unless China brings back auto import duties to old levels, Tesla will struggle to arrest the sales decline. A 40% tariff will continue to hurt Model S and Model X sales while blowing a huge hole in Tesla’s plans to sell Model 3 in China. The additional duty will force Model 3 to compete several segments above and be a considerable drag on sales growth. Tesla will never be able to reach its potential Model 3 market, which will make the company concentrate its efforts in other parts of the world. Tesla may start by improving its infrastructure in Europe. Add more superchargers, increase service center capacity and open up more delivery centers. Reach the potential Model 3 market in Europe and if possible try to go beyond that. It’s worth the effort because the premium luxury sedan market in Europe is larger than North America. As Tesla focuses on maximizing Model 3 sales in North America and Europe, the company can turn aggressive about Gigafactory 3. Tesla may need another 18 to 24 months to see the first China-made Tesla rolling out of the factory, but Tesla will be in a much better position when that happens. Can Tesla go All in on Europe? Model 3 will be competing in the $35,000 to $70,000 price range which will pit Tesla’s cheapest sedan against segment leader Mercedes Benz and other luxury automakers in Europe. Data from Carsalesbase shows that Mercedes sold 176,915 C Class and 127,638 E Class in Europe last year. An average of 5,863 units per week. Tesla has enough room in the European market to absorb most of Model 3s production ramp in 2019. In Germany Mercedes-Benz C Class and E Class start at €32,534 ($36,861) and €44,863 ($50,830). Tesla is now closing in on 7,000 Model 3s per week and has plans to increase it beyond 10,000 units per week in 2019. North America and Europe can provide the demand Tesla needs to sell Model 3, giving some breathing room in China. Tesla would have never thought that it will be effectively competing in two markets instead of three. But that’s the best way forward as long as the US-China trade war continues. Tesla 2019 plan should be to prioritize North America and Europe for Model 3 sales while building Gigafactory 3 in China. I was wrong before and I could be wrong again. I thought Tesla will prioritize exporting Dual Motor Performance and Dual Motor Long Range models to Europe over selling the cheaper rear wheel drive models in the United States. My reasoning: By selling higher priced versions globally Tesla will secure its margins first and then launch the cheaper models. What’s the harm when you have deposit holders waiting for Model 3 all over the world. But Tesla chose to build and sell all variants of Model 3 in the United States first. One could argue that Tesla chose this option to help US customers avail the full $7,500 tax credit, as the company was close to reaching the EV tax credit cap in June this year. It was a risky move, but Tesla chose that anyway. Tesla may accept wafer-thin margins in China just to keep its cars move out of the lot in China. We will know which direction Tesla swims once the company announces Model 3 pricing in China. At the very least it should be close to break-even.